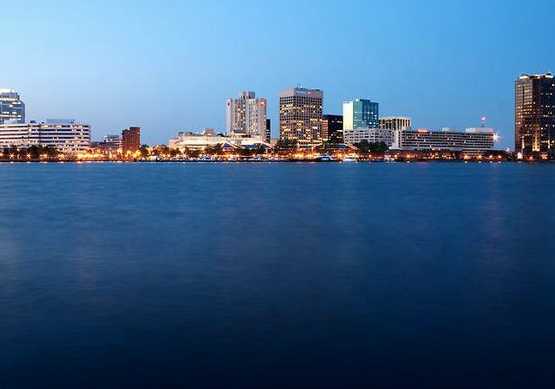 If you are ready to head to Norfolk, Virginia, the only way to go is by a private charter flight by Charter Flight Group. When you charter a flight with us, you are booking the best private jets possible. Charter Flight Group has luxury jets to suit the needs of any individual, executive, or corporate traveler. From a simple Lear or Cessna luxury jet to larger private jets capable of carrying groups the size of football teams, CFG has the best private jets available. Having been in business for over 30 years, Charter Flight Group has developed a reputation as being the finest in the business of private charter flights. Whether the destination is domestic, such as Norfolk, or international, we can get you there safely in style, comfort, and luxury. Twenty-four hours a day, seven days a week, out private charter flight specialists are standing by to take your call. The secret to CFG’s success these past three decades has been simple: Maintain all luxury jets for private charter flights in the best condition possible. Doing this requires additional outlays of time and expense, but that extra effort makes all the difference. For instance, whereas FAA Part 135 standards oversee charter jet aircraft flight operations, maintenance, and licensing, CFG does not stop there. We maintains a regular relationship with ARGUS and WYVERN (jet aircraft safety groups) to have all their private jets regularly inspected. These group’s audits far exceed FAA regulations and this has had a positive impact on both our reputation and business. Private charter clients worldwide appreciate the degree of safety and security associated with a luxury jet flight provided by CFG. When you charter a private luxury jet to Norfolk, you have a number of airport options from which to choose. You could fly into Norfolk International, Chesapeake Regional, or Hampton Roads Executive. The choice of where to have your private luxury flight touch down is entirely up to you, but here are some general guidelines that may be useful in your approach. In general, the choice of where to have your private charter luxury jet flight land is often a choice of location. When people travel on business to Norfolk, the landing often comes down to which location is nearest to the business to be conducted. As a hub of considerable economic activity with many sights to see, business travellers to Norfolk find that it easy to get sidetracked unless they book in close to the business-at-hand (more on this in a moment). For this reason, if your reason for your flight involves the naval yards of commercial shipyards, Norfolk International is usually the hub of choice. However, for those who prefer the privacy and luxury that comes with being an Executive, the Hampton Roads Executive is frequently the best option for your private luxury jet charter. If your flight involves vacationing, however, many travellers prefer to fly into the south end of Norfolk via Chesapeake Regional. Whatever the reason for your private jet flight, your charter consultant can assist you in deciding. It is so easy to get sidetracked when one enters Norfolk for it is a city full of both history and excitement. To the north, the Naval base which is home to both the Atlantic and 2nd Fleets can be easily seen from your private luxury jet while in flight. In addition, travelers from the airport often find themselves taking side trips into one of the many attractions offering a bit of American history. In fact, not far from Norfolk is the site of Kitty Hawk, where the first flight by Orville and Wilbur Wright took place. Hence, many private charter vacationers prefer to enter the city through Chesapeake Regional, as it is better located for such excursions. In fact, tourisms is one of the major industries in Norfolk thanks in part to such amusements as Colonial Williamsburg and Virginia Beach. However, given the thriving economy of Norfolk, most private charter flights enter the city for business-related purposes. 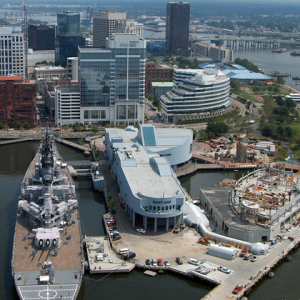 In fact, aside from the naval station, Norfolk has the second busiest port on the east coast and is home to several major corporations. Among these are Norfolk Southern Railroad, Landmark Communications, and Blackhawk Products Group, which supplies police agencies worldwide with tactical gear. A testament to the viability of the Norfolk harbor system and economy is an Israeli Shipping company that is 13th in size in the world, named Zim Integrated. So regardless of the reason for your private jet charter, Norfolk has something for you. Be sure to have your charter flight consultant make all the arrangements and you are sure to have a great trip, whether for business or pleasure. Safety is a concern for most travelers, and those who charter a private luxury jets are no different. We have the best record of safety and service in the industry. Each member of our staff is carefully selected for their reliability, their concern for the safety of the passengers, and their professionalism. Nothing but the best is permitted for our clients. So when you are ready to book your private luxury jet flight, be sure to give us a call.